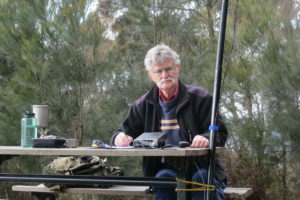 August 2016 – Mid South Coast Amateur Radio Club Inc.
David, VK2FLDW as part of the VK1 Winter SOTA QSO Party activated Mt Alexandra near Mittagong. Contacts were made to to Queensland, Victoria, Tasmania and South Australia. Local contacts to New South Wales and Canberra were almost non existent on the day. Maybe a NVIS antenna for the next expedition. 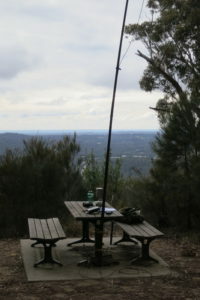 David found a comfortable operating position at a lookout near the summit. 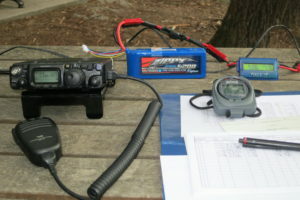 He is operating a Codan 7727-C crystal locked radio on 7.1128MHz. Yes that is right 7.1128 MHz, that is the frequency the crystal is cut for. T his book starts at beginner level, building the foundations of Electricity, AC Theory and Radio Theory. These foundations are progressively and slowly built upon and culminate at a solid Advanced Level. This is an ideal study program for those wanting an understanding electrical and radio theory. This study is suitable for Radio Technicians, Electrical Technicians, Technical Officers. 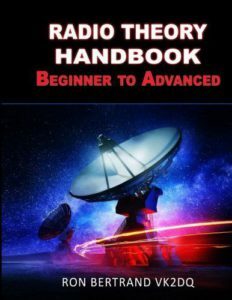 Also suitable for those seeking to gain a qualification from Beginner to ‘Advanced’ Radio (Amateur) Experimenter; in any country. The book aims to provide a clear understanding of concepts. The goal is learning rather than memorizing.